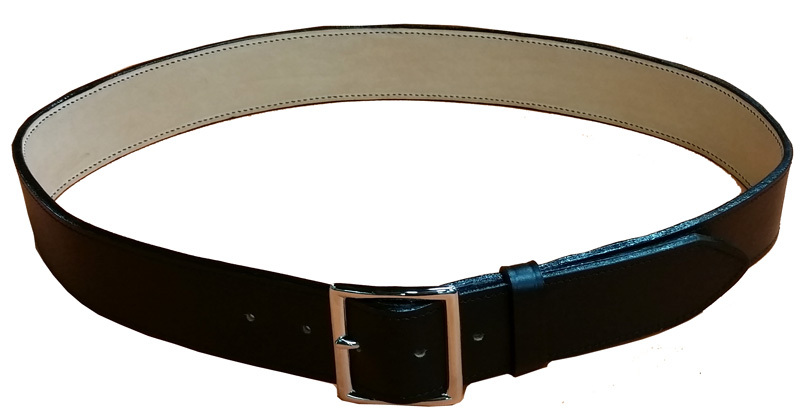 A traditional garrison belt made of full grain black cowhide with a full grain lining, glued and stitched together with nylon thread. This model has 2 dome snaps so the buckle can be easily removed. The strap is 1.75" wide and the lining is clear coated with a light protective finish.